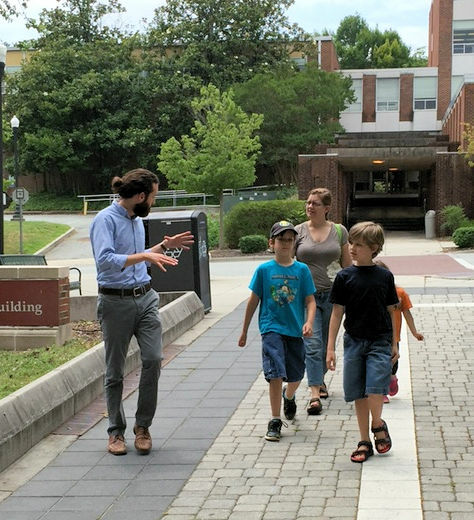 Arriving at the Eberhart Building on the Greensboro campus of UNC, where the DUCK Lab is located. Kids have fun in the waiting room before the study begins, while parents sign a consent form. Parents can stay with their children and watch them participate in the study or remain in the waiting room. Children play games with a trained, child-friendly member of the lab. A typical study session lasts about 30 minutes. We want the DUCK Lab to be a fun experience.